Well Coral Bay wedding season has kicked off with a bang. After being off the road for such a long time I headed out for three weeks on the road to play and DJ two weddings in Coral Bay in late March/early April. We were incredibly fortunate to miss the final cyclone of the season and had beautiful weather for both weddings. The first was a small wedding of thirty guests with an Irish flavour. Nice people who were very welcoming to me. The small wedding party started slow but I was stoked to have enough Irish material (as well as my usual tunes and their requests) to finish the night with some manic highland flinging. The Father of the Bride also sang two Frank Sinatra songs a cappella which were a definite highlight and floored the whole wedding party. Thanks and good luck to Dave and Elaine, I’m sure I’ll bump into you again if I ever head back through Newman and the WA interior or, more likely, you’ll see me trying not to look like the palest guy in Coral Bay. Thank you so much for being apart of our special day, everything was perfect. You were absolutely amazing on the day, you played exactly what we wanted and all of our guests have mentioned you and how brilliant you were. 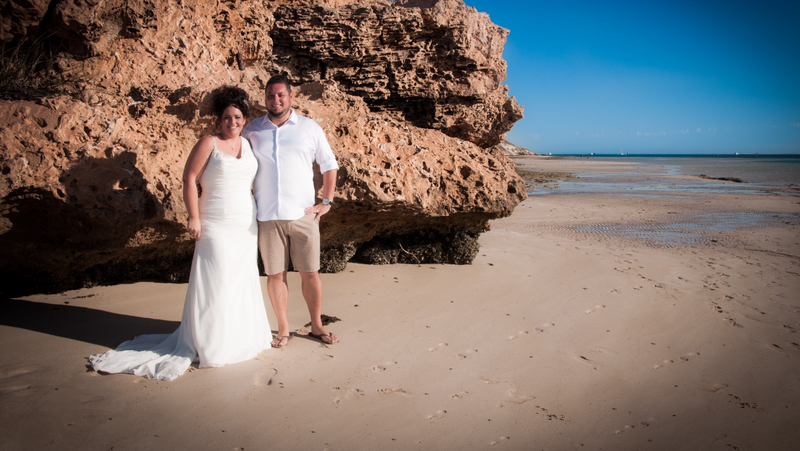 A week later after a round trip to Geraldton began the second wedding. 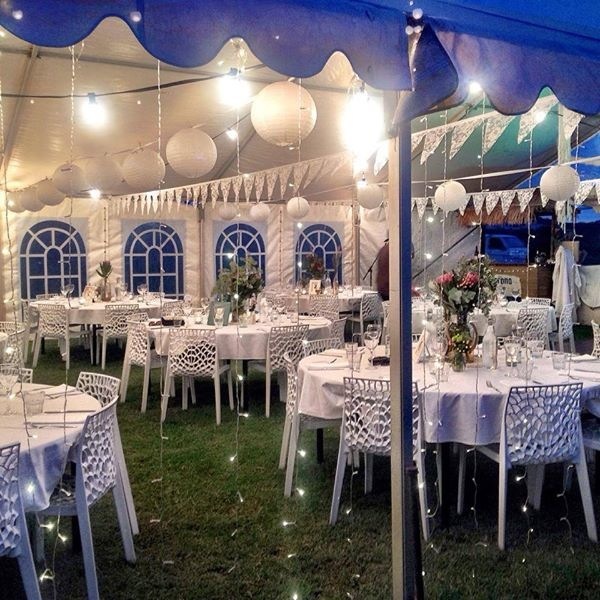 The immaculate decoration of the beachfront marquee was bewildering, especially the effort and forethought to create the atmosphere in such an out-of-the-way place as Coral Bay. This was more of a contemporary country theme with an abundance of white decorations set off with the most beautiful native floral centerpieces I have ever seen. 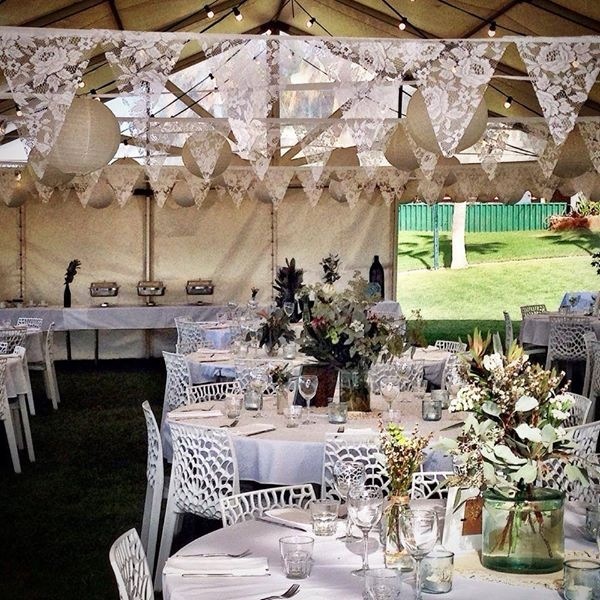 The wedding party of about 85 had come from all over WA (and further) and embraced the combination of wheatbelt Aussie fair with some specially chosen Afrikaans moments to celebrate the bride’s heritage. It turned out to be a really fun night with some epic African/Aussie dancing and singalongs. Again, thanks to Lauren and Clint for a spectacular night. So it was a long three weeks on the road with some great moments, some fun gigs and a gaggle of great people who I love to meet along the way and keep a one-man-band entertained. The folk at the Ningaloo Reef Resort did an outstanding job organising the weddings and I look forward to seeing the peeps of Coral Bay again next week for my next wedding in one of my favourite places. This entry was posted on April 23, 2015 by Spectacle. 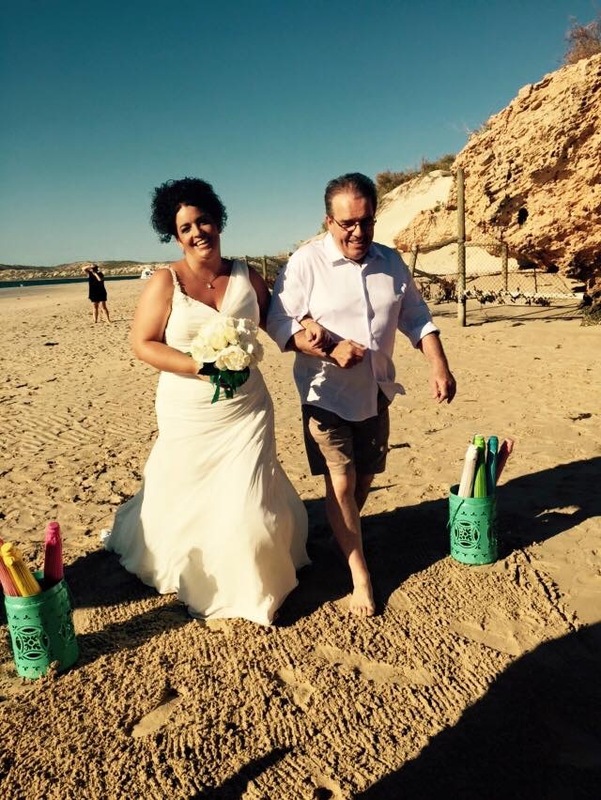 It was filed under Uncategorized and was tagged with Coral Bay wedding, DJ, Dunsborough wedding, Exmouth wedding, Kalbarri wedding, Live Entertainment, live wedding music, Mandurah wedding, Margaret River wedding, Ningaloo wedding, perth wedding DJ, Perth wedding music, wedding, Wedding dj, Wedding music, Western Australia wedding.